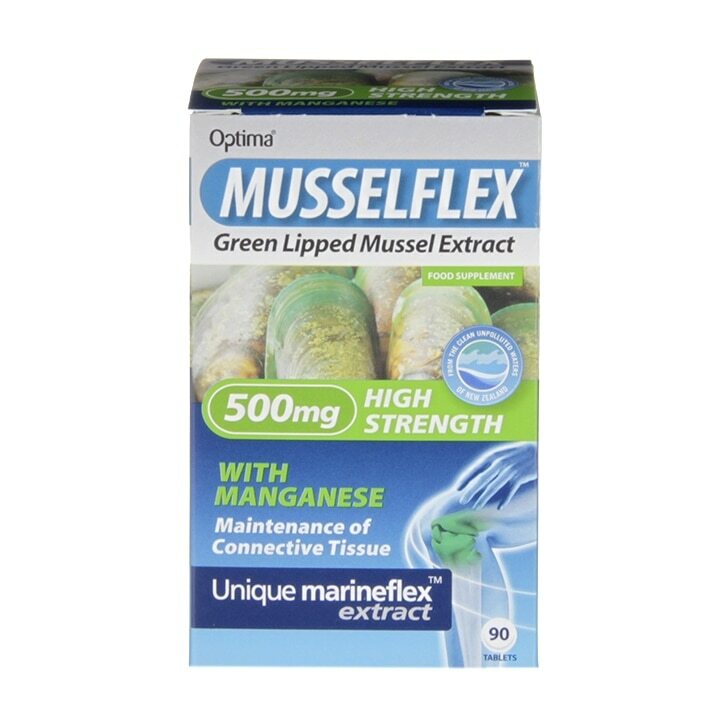 Optima Healthcare Musselflex Green Lipped Mussel Extract Tablets is rated 4.6 out of 5 by 10. Rated 5 out of 5 by Bayboy from Optima Healthcare Musselflex Been using Optima Healthcare Musselflex Green Lipped Mussel Extract Tablets for a couple of years now, can't say that they work or don't work but for me personally I've not had any joint issues recently, so is that luck, diet, or the Optima Healthcare Musselflex Green Lipped Mussel Extract Tablets. Rated 5 out of 5 by TrueShow from Quality product Product is as described and seems to work. Recommend.